The micropolis is a cohesive, human-scale community where an atmosphere of familiarity and validation becomes a catalyst for lively commercial and intellectual exchange. The traditional city of between 10,000 and 50,000 people is arguably the optimal human habitat in terms of the health and well-being of individuals, our society and the planet. It is also the crucible from which the historic foundations of liberal democracy arose. Over the past half-century, techological, economic and demographic shifts have undermined most American cities, causing an exodus of jobs, people and vitality and leaving them fragmented and unable to function. This book is a comprehensive look at the traditional small American city. 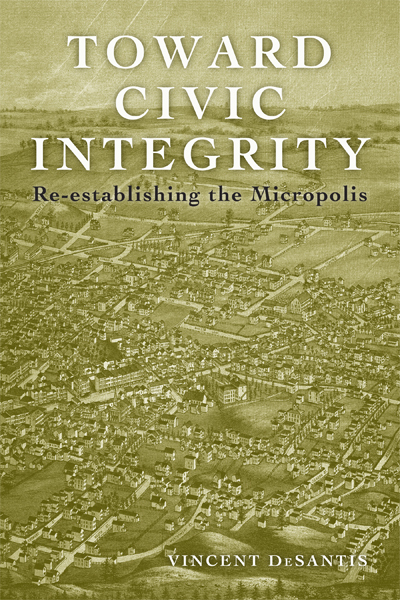 It explains civic integrity, why we lost it and how recent changes in technology and popular attitudes have given us the opportunity to reassemble it as the essential building block of a sustainable American future.